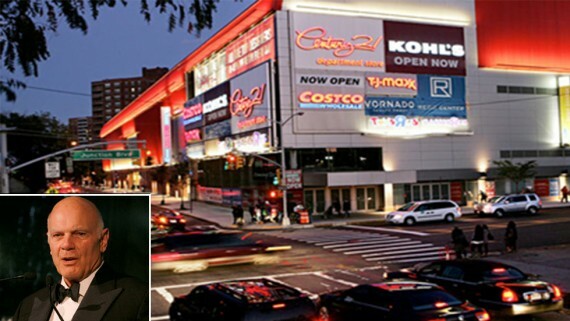 A bill proposed earlier this year would have allowed Vornado Realty Trust to take over city-owned land in Rego Park, Queens, and to forego certain setback rules to build a residential tower in the area. Queens legislators State Senator Toby Ann Stavisky and Assemblyman Jeffrion Aubry proposed the now-defunct bill, and it’s not clear if it will be revived in the next legislative session, Crain’s reported. The bill, however, provides a glimpse into the real estate investment trust’s interests and potential future plans in the area. The legislation would have given Vornado ownership of air over parkland that is adjacent to the company’s property near Lost Battalion Hall. This would have allowed Vornado to build a residential tower right up against the park’s border, eliminating a 30-foot setback rule. In exchange, Vornado would potentially pay for park improvements and give the city a comparable-sized easement over its property.